This luxury downtown condo is in the heart of Bozeman’s historic downtown district. 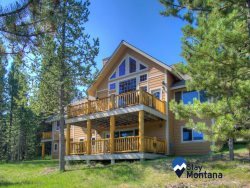 Located on the eastside of main street within a casual walking distance to restaurants and boutique shopping, and minutes from all the abundant outdoor activities Bozeman has to offer, the Main Street Retreat is the perfect location for a weekend getaway. This two bedroom and two bath condos features luxury finishes, gas fireplace, A/C, master suite with king bed and dining for 4. The kitchen has a stove, fridge, microwave, coffee pot and all the kitchen appliances needed to enjoy your stay, whether long or short.